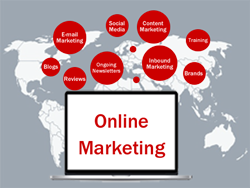 Complete website, SEO, and integrated marketing solutions made easy. 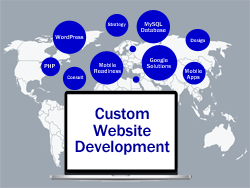 Improve visibility, increase conversions, and reach your business goals with customized web solutions that fit your business. Proudly serving Toronto and the Greater Toronto Area (GTA) since 1995. Rank higher, reach further with a comprehensive SEO strategy that maximizes results while minimizing costs. Without a solid, goal-based SEO strategy, you’ll never rank on the first page of any search engine. Insite Creations implements best-practice SEO strategies that create a solid foundation for optimization. No “black hat” tricks that search engines ignore – only proven techniques that deliver high rankings and drive traffic to your website. 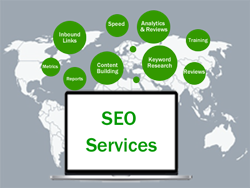 Our SEO experts work with you to attract the right audience, and build your business organically with effective indexing, ranking, and optimization methods. Get the most out of your website with proven strategies that focus on your business goals. Even the simplest websites need a professional strategy to make them work. Whether you’re rebuilding your website or designing a new one from scratch, talk to the experts at Insite Creations. We develop a complete website strategy that works for your business, and saves you the time and expense of “trial and error”. Our experts help you through the entire planning and implementation process, and are on hand to answer all your questions with one-on-one coaching sessions, or every Friday during our open Google Hangouts. Market smarter with an integrated marketing solution that consolidates all your marketing streams into one seamless process. Marketing is more than just telling people about your product. It’s about grabbing their attention, bringing them to your website, and creating relationships that result in new business. Insite Creations has the expertise to coordinate your marketing efforts to maintain a consistent look, theme, and message, as well as ensure that your inbound methodology maximizes the customer experience. Whether your customers are on desktop or mobile, you’ll reach the right people, every time, and build relationships that convert. Spend time building your business, not maintaining your website. Like most business owners, you want to spend time building relationships, not worrying about website updates and Internet security. 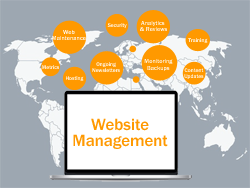 With a website management service package from Insite Creations, you can concentrate on what you do best, while we monitor and maintain your website around the clock, to keep it performing at peak level.